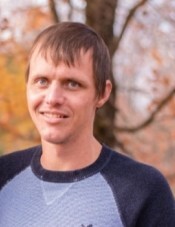 Levi Robin Tilton, 33 of Kalkaska, died Tuesday, December 4, 2018 after a courageous 8 year battle with cancer. He was born June 3, 1985 in Rantoul, IL the son of Robin Tilton and Linda Tobias Chippa. Levi lived life to the fullest and always had a smile on his face. He was constantly helping others and selflessly giving of his time. He volunteered many hours at KAIR in the winters and worked at Timber Wolf golf course in the summers. In his free time Levi enjoyed kayaking, being on his boat at the sand bar of Torch Lake, fishing and going to the casino. Surviving Levi is his mother Linda Tobias Chippa, his father Robin (Sonya) Tilton, his siblings Justin (Mary Kate) Tilton, James (Gabriella) Tilton, Erica Bailey, Nichols Tilton, Audrae Tilton, Jacob Tilton, 9 nieces and nephews, and several aunts, uncles and cousins. He is also survived by his best friend Tom Dietrich. A memorial service will be held Saturday, December 8, at 3 p.m. at the Mancelona Chapel of Mortensen Funeral Homes with visitation starting at 2 p.m.